Dec 2018 Update: Now offering Fujita Seiko's Shinto Muso Ryu Jojutsu book in softcover edition! We have a small supply of the Limited Edition English Hardcover of Fujita Seiko's Shinto Muso Ryu Jojutsu book. The first edition of this unique book was printed in 1953 and currently sells for over $500. We have seen a worn edition selling for as low as $140. This limited edition includes both English and Japanese text. Legend has it that the Shinto Muso Ryu style of Jojutsu was founded after Muso Gonnosuke Katsuyoshi (17th century samurai) lost a duel. Katsuyoshi traveled on his musha shugyo to test what he had mastered in Tenshin Shoden Katori Shinto Ryu. He was unprepared for his loss to Miyamoto Musashi (1584-1645) who was an expert swordsman and ronin, credited with winning over 60 duels. After his loss, Katsuyoshi withdrew into seclusion, practicing swordsmanship and performing purification rituals in an effort to perfect his technique. 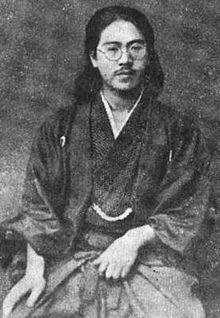 The author, Seiko Fujita (1898-1966) was a Japanese martial artist and military instructor who many consider to be the last Koga Ninjutsu master. During the Wolrd War 2 he taught special training in the Army Academy of Nakano. He authored more than fourteen books. Our edition include Introduction (by Fujita), Jo no Kamae Ho (postures), Kihon Juni Te (fundamentals), Ouyou Rokute (applications), Shiai Kata (dueling drills), End notes, About Fujita Seiko (short biography), Glossary (with kanji, romaji and brief explanation) and Bibliography. This Limited Hardcover English Edition book is 150 pgs in length with over 300 detailed illustrations. Our softcover edition has arrived! We have a only a few hardcover books in stock. We are preparing for the softcover release. Preorders begin November 25, 2018! Vacation time in NY! All sales during this time will be shipped out after August 20. Thank you for your patience! We are 85% sold out of our Hardcover Limited Edition! We are 45% sold out of our Hardcover Limited Edition! Large international order arrives in Europe! All books in great condition... our team smiles in joy. All shipments up to date. Preparing a large order for a school in Europe. Thank you to everyone for their wonderful support! Lots of great feedback from our supporters! Just received some awesome reviews from our supporters! It's back to packing books, attaching labels and running to the Post Office. Crazy cold and snowing in New York. Not going near the Post Office for a few days! There is an odd sense of joy we get when a book arrives at its destination promptly and in good condition. In a world of Amazon, I’m often humbled people will support a small, independent project like ours. Thank You! The first book have shipped out at 11am. They have all shipped out Priority Mail so YOU should be receiving your copy in three days. Please let us know your thoughts on packaging, shipping time, book exterior and interior. We are hoping that people will share brief reviews with us. The book shipment arrive at my home. The hardcovers look GREAT! We are checking every book for quality. All around, we are happy with the printing process. We've started packing the books! Spent a bunch of time this weekend preparing the USA Priority boxes for shipping. Once the Limited Hardcover English Edition arrives each book will be packaged, brought to the USA Post Office and tracking applied. According to USPS shipping info, postage should take two to three days! Contacted the printer and confirmed we will be receiving our first book shipment BEFORE Christmas. Maybe. He assured me the print run is scheduled and the books should ship out to New York in the next week. But was concerned about USPS and FedEx meeting the holiday demand. He's going to call me next Thursday for an update. 'Tis the season for patience. Techincally, we hadn't even launched the website yet... when our our first orders came rolling in. It was exciting to get those first, unexpected orders. Thank you to everyone for your support and sharing the information. Now remember, if you order the book BEFORE 12 noon (New York time) on Thursday, December 7, 2017 we will rush your order so you can hopefully place it under your tree! Happy Ninja Day! Beginning today we are accepting orders for Fujita Seiko's Shinto Muso Ryu Jojutsu book. This is a Limited Edition English Hardcover book. The first thing I noticed when Joe showed me this book is the overall high quality of the cover and pages. Now that I have finally had a chance to sit down with this hardcover book containing the translation of Fujita's Shindo Muso ryu Jojutsu Zukai, I am really impressed. There is very little text in the original so the drawings that clearly represent the movements in the kata are what really stand out. The descriptive text that accompanies the drawings is provided in Japanese and translated into English. There is no extra "editoriallzing" or enhancement provided so it's a faithful representation of the original work. The book begins with a short history of the school followed by an overview of the jo and then kamae (stances). From there, various strikes, blocks and parries are shown and two-person kata are explained. This is a great addition to the collection of any serious student of the Japanese martial arts. Congratulations to Joe and Rich on a very nice book! After receiving my copy of this book, I was pleasantly surprised with the amount of detail and straight forward information translated from Seiko's original work. From what I have studied there are some profound elements of distance, transitions, timing, and several other crucial details explained within this book that would seem to be of interest to any serious martial art student. With the explanations of Honte Uchi and Gyakute Uchi, then further discussion and conclusions discussed I think are an excellent way to introduce one into more advanced concepts of Japanese martial arts. The format of the book is also well done with lots of specific information, I highly support this this book and wish to see more works in the near future. Started with my copy over the holidays. As I was working through it, I realized there was an incredible amount of detail in there. Hand positions and transitions as you move through Kamae and strike, etc. are illustrated and documented in a level of detail that is typically not expected. I also noted some stuff that a shihan was doing with a jo during my last trip to Japan. Awesome work. Would recommend it to anyone. Just got my copy. Thanks for making this available. Can't wait to study it. Great job! The illustrations and descriptions of the the technique are excellent. This will make a great addition to my collection of Budo books. Got my copy yesterday and spent some time reviewing it. The packing was great. Book came in perfect condition and I have it up at the dojo to encourage students to purchase. Thanks again for making this available! --- Great work and looking forward to digging into it in depth! Well done!!! Feel free to contact us at jobook@kihon.com or on Facebook if you have any questions.